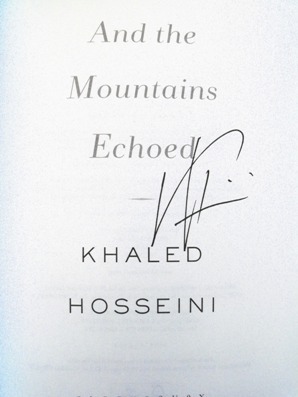 These UK first editions have been sent for siging in the US (where Khaled Hosseini was on a book signing tour) and as such are believed to be the only signed copies of the UK standard first edition - only eight copies available - when they're gone, they're gone for good. Synopsis : So, then. You want a story and I will tell you one ...Afghanistan, 1952. Abdullah and his sister Pari live with their father and stepmother in the small village of Shadbagh. Their father, Saboor, is constantly in search of work and they struggle together through poverty and brutal winters. To Abdullah, Pari - as beautiful and sweet-natured as the fairy for which she was named - is everything. More like a parent than a brother, Abdullah will do anything for her, even trading his only pair of shoes for a feather for her treasured collection. Each night they sleep together in their cot, their heads touching, their limbs tangled. One day the siblings journey across the desert to Kabul with their father. Pari and Abdullah have no sense of the fate that awaits them there, for the event which unfolds will tear their lives apart; sometimes a finger must be cut to save the hand. 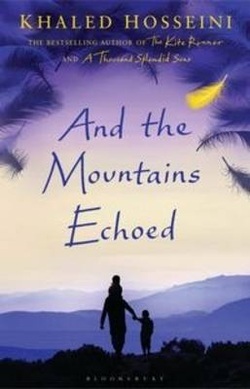 Crossing generations and continents, moving from Kabul, to Paris, to San Francisco, to the Greek island of Tinos, with profound wisdom, depth, insight and compassion, Khaled Hosseini writes about the bonds that define us and shape our lives, the ways in which we help our loved ones in need, how the choices we make resonate through history and how we are often surprised by the people closest to us..